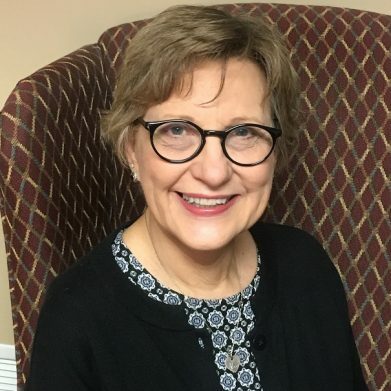 Cynthia joined Employee Assistance Center (EAC) in October of 2018 and has over 25 years of experience in the mental health field. She obtained her Master’s degree in clinical psychology from Western Michigan University in 1993 and started her mental health career at Kellogg Community College as a Specialty Program Counselor. Her background also includes working as a certified chemical dependency counselor for St. Joseph County as well as Gateway Recovery Services. Additionally, Cynthia completed a Master program in Practical Spirituality through Peace Theological Seminary in California. In 2001, Cynthia moved to Dearborn, Michigan and joined the Oakwood Hospital Employee Assistance Program (EAP) as a clinician. She was there for 10 years. As an EAP clinician, Cynthia helped employees and their family members address a variety of issues ranging from anxiety, depression, work issues, substance abuse, couple difficulties and anger management problems. In addition, she worked with many client companies and their HR departments, reconciling work issues and presenting various trainings. Cynthia developed a private practice from 2011-2014 and then made the decision to move to Grand Rapids to live closer to her daughter and her family. When Cynthia isn’t working, she enjoys spending time with her daughter and 3 granddaughters. She has 2 daughters in San Diego and one in the Grand Rapids area. She also enjoys breeding Cavapoo puppies, which are a mix of a Cavalier King Charles Spaniel and a Miniature Poodle. Her hobbies include flower gardening, meditation, dog shows, and art fairs.